Exclusive patent Auto Grip Lock automatically locks the grip jaws closed. Won't drop drum, even over rough terrain. Can be used with steel, fiber and poly drums without having to make any adjustments. Superior gripping action holds drum tight even over rough terrain. 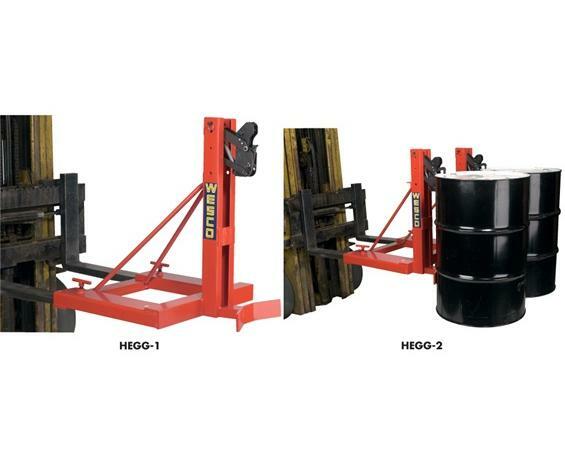 Handles drums up to 1000 lbs. per grip. Can be used with open or closed head drums. 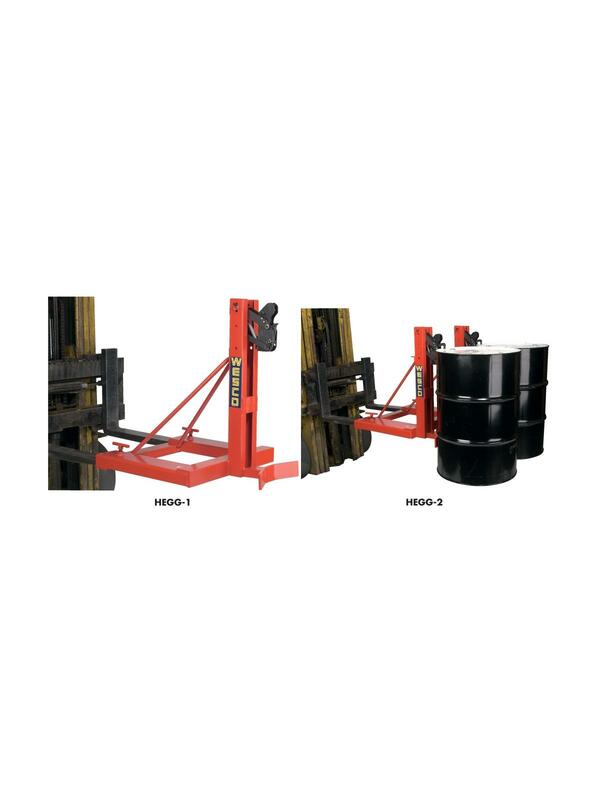 Allows lifting and placing drums in tight spots. Lifts drums from the top of center to minimize the risk of damage. Mounts easily on forks -- just hand tighten lock screws and no tools required. FOB Shipping Point.